Security is always top of mind in our industry. We remain vigilant and do as much as possible to mitigate risks, but nevertheless, risk remains. 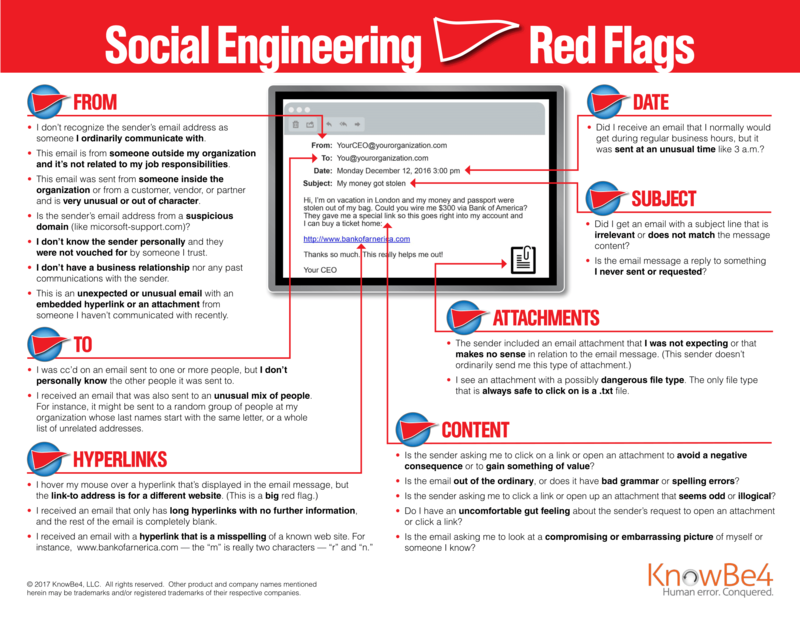 We have posted some red flags/what to look for as well as sample phishing emails. Feel free to print these and retain as reference material. Some of these scams are sophisticated and difficult to spot. Please take a moment to view the screen shots below. Education and recognizing suspicious communications is everyone's responsibility.